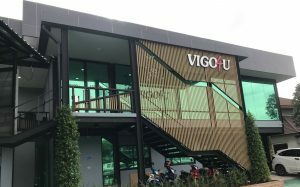 An electronic mail at vigobangkok@gmail.com will join you to not only Thailand’s prime 4WD dealer and exporter of pickups and SUVs as Toyota Hilux Revo, Toyota Hilux Vigo and Toyota Fortuner but additionally prime dealer and exporter of RHD automobiles from Australia, New Zealand, Singapore, Japan and United Kingdom and LHD automobiles from Dubai UAE and United States. Our clients are as various as our range of autos: We provide not only to the person purchaser but additionally to non-profit organizations, NGOs, small companies, companies, authorities departments and ministries, mining companies, overseas missions, embassies and their staffers, spiritual organizations,and expats worldwide. Service is in our blood as a cherished heritage.